My favorite time of year in DC - SPRING! 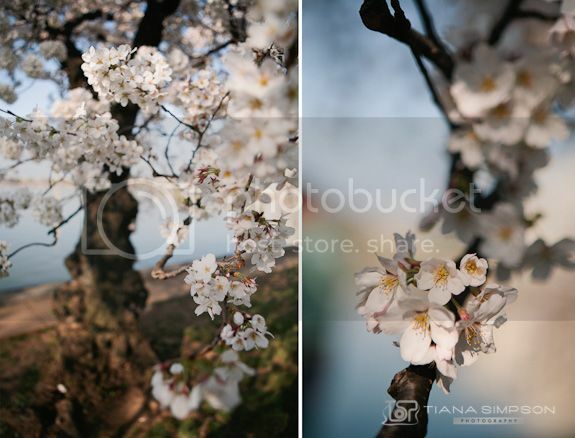 The Cherry Blossoms bloomed early this year, but they were as beautiful as ever. I really want to purchase a copy of one of your photos from last year for a friend. I looked under fine art but didn't see it. It is on your blog though. (April 30, 2011 post, first pic.) Is that possible and does it come in standard sizes? Thanks! Absolutely, I will upload it to the site and I will send you an email when it is posted. It is currently longer than standard size, so depending on the size you want to order, it may be cropped a little. For example current size= 8x12, cropped would be 8x10.